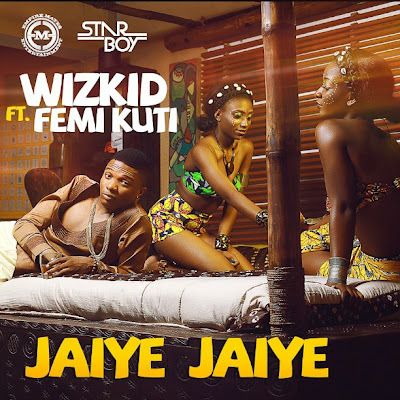 Earlier this year Starboy Wizkid dropped one of the most unexpected collabos ‘Jaiye Jaiye’ featuring Femi Kuti, and now the song has officially got a video to accompany it. Wizkid teams up with video director Sesan for the artistic visuals influenced by the late great Fela Kuti, who even makes a creative cameo appearance in the video for the song produced by Sarz. The video was shot in different parts of Lagos and ends at the historic Fela Shrine. This is the first video off Wizkid's highly anticipated sophomore album titled ‘Chosen’. Watch the video below..